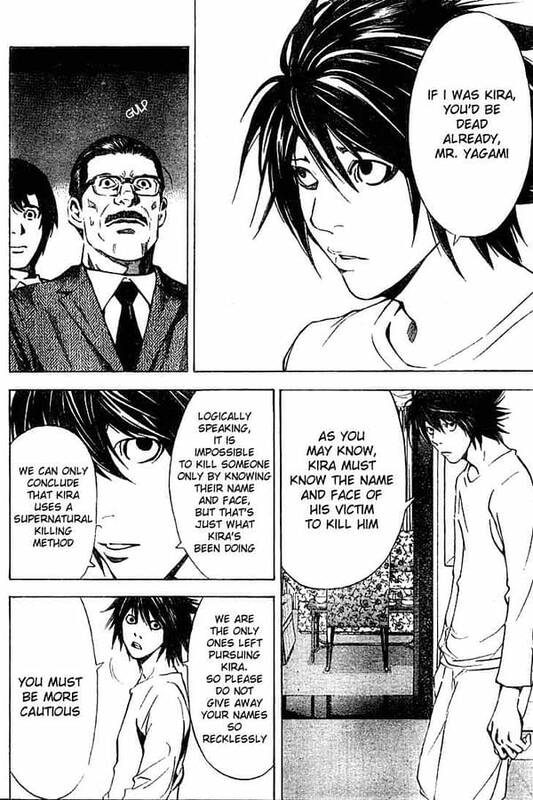 Back in 2003, Tsugumi Ohba introduced us to the world of Death Note. Nearly 15 years later, the series now has a cult following that rivals established manga series and captured a piece of pop-culture regarding how we look at death as a character and a finalization. 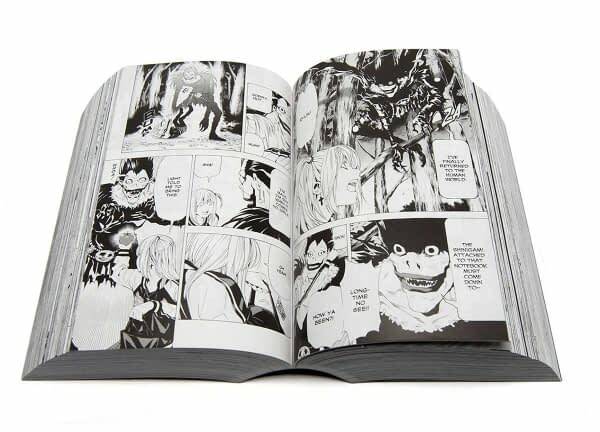 Last year, Netflix released a film based on the manga, and to help promote it, VIZ Media released the All-In-One Edition of the series in a single book. We got ourselves a copy and had a chance to read through the series as a whole. If you’re not familiar with Death Note, the premise is pretty cool and simple enough to catch on to. A student named Light gets his hands on a notebook that gives him the power to kill whomever’s name he writes into the book, as long as he’s thinking of that person’s face. He comes across the book’s original owner, Ryuk, who left the book in the human world because he was “bored”. 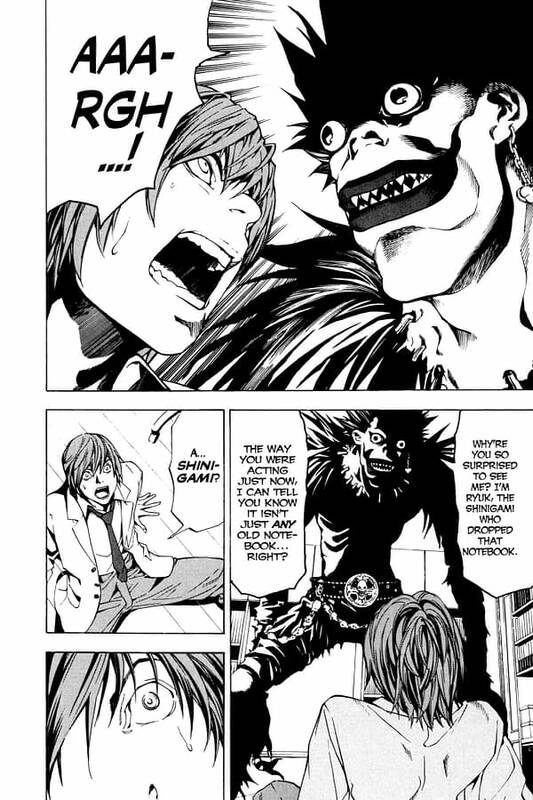 Light eventually creates a persona where the public come to know him as Kira, turning himself into a sort of judge/jury/executioner type as Ryuk takes pleasure in watching him carry out the deeds of a killer — all by writing names in a book. 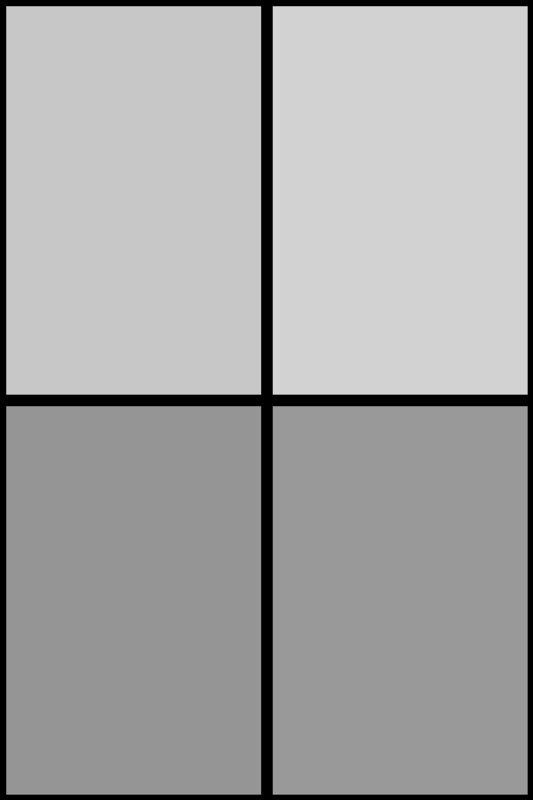 The themes within the book are powerful enough to make you shake reading it. 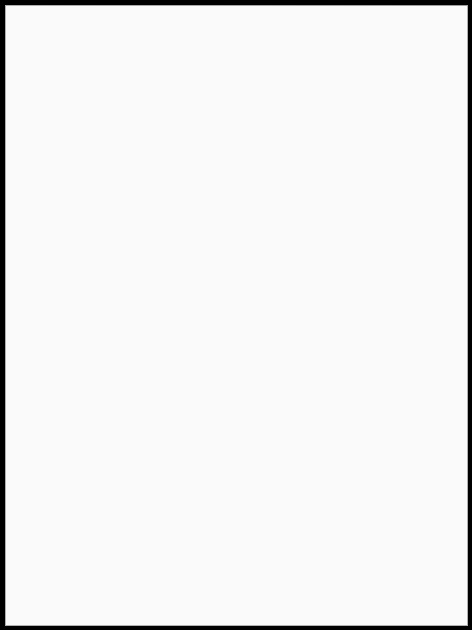 What if you actually had the kind of power Light has in his possession? What would you do with it? Could you resist the temptation to use it for your own sense of justice, or would you give in and take matters into your own hands just by picking up a pen? Reading this manga from cover to cover reminded me a bit of the original The Crow comic book series — as the book moved on, the pages and tone would dip more into the black. The story tends to reach a point of no return and gives you a real sense of finding a way out, even if it’s the last choice you’d want to make. As to the physical book itself, there are some great bonuses and minuses to it. First off, this thing is basically two small bibles glued together. 2,355 pages in total for this, making it the complete anthology along with the final bonus chapter. The pages have the original artwork fully restored to perfection, but the paper comes off as a bit waxy and porous. The book itself is so thick that there’s a pretty good chance the binding will get multiple creases in it, so this is one that you basically need to treat with extra care. That being said, this is probably the best-printed version of the series I’ve ever seen, and, like a lot of special editions, the last one you’ll ever need to purchase. 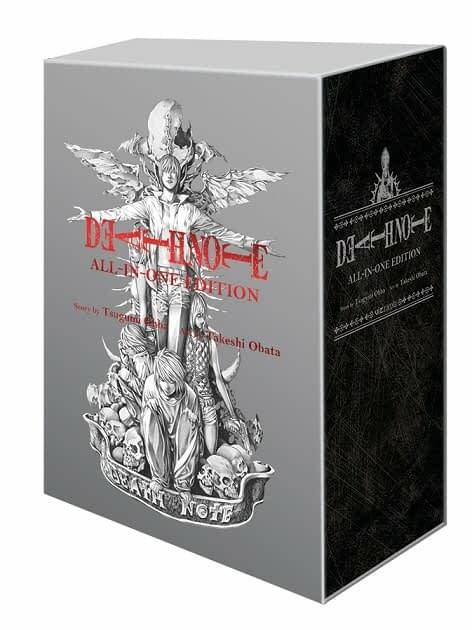 I loved Death Note: All-in-One Edition. It reminded me what a good series it was and how the book really does stand out above the anime and the film. It won’t be everyone’s taste because it does touch on some dark themes that, while they may not be offensive, will hit your soul in a special way and make you think just a little deeper about subjects you may not want to ask yourself. The book is also just $40, which, considering the collection you’re getting, is a steal at manga prices. This is a must-own if you love the series, and maybe even a purchase for casual fans who’d like to have it on their shelves to read on occasion.